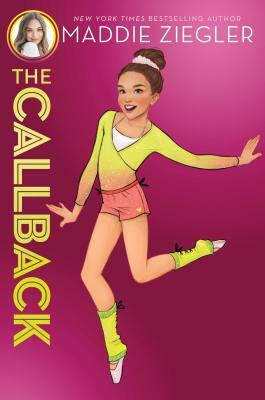 Bunheads meets The Kicks in this second novel in a brand-new middle grade trilogy from New York Times bestselling author, dancer, model, and actress Maddie Ziegler! After a successful first competition, twelve-year-old Harper is eager to keep on making her mark in Dance Starz, But lately, she’s having a bit of “dancer’s block,” In her one-on-one with her teacher, Harper is reminded that dancing isn’t just about the spins and leaps; it’s about the emotion and passion for dancing, too. And lately, she hasn’t felt that Harper has been living up to her usual standards. Vanessa will be choosing the first soloist to compete at the next competition for the team, and suggests to Harper that she find a way to figure out how to get that mojo back. Thanks to a chance conversation, Harper joins the school musical. Not only is this an opportunity to polish up her stage presence, but as the newbie at school, Harper is excited to make some more friends. But some of the teammates are not thrilled that Harper has to do something else other than dance team. Plus, their biggest rivals, The Belles, are looking to go toe-to-toe with them in the upcoming competition—and both teams have something to prove. Harper realizes that the musical, dance team, and school might be a little much. Can she figure out how to find her balance—on-stage and off?